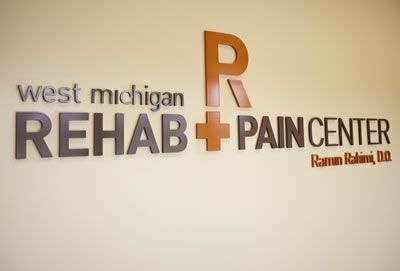 Under the direction of Ramin Rahimi D.O., West Michigan Rehab + Pain Center specialists are committed to providing patients with natural, innovative, and patient tailored pain management programs. Our pain management centers are conveniently located at two all-encompassing Grand Rapids area facilities. We welcome you to explore who we are, our approach, and learn more of Dr. Rahimi’s lifelong commitment to pain management study and practice. At West Michigan Rehab + Pain Center, the focus of care is not only on reducing pain, but also increasing quality of life and function. 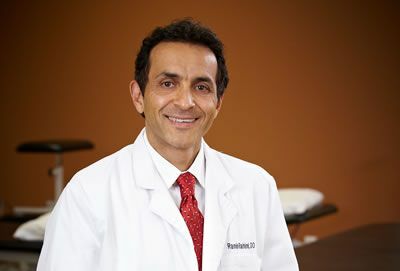 Dr. Ramin Rahimi, a board certified Doctor of Osteopathy and Certified Independent Medical Examiner, is the founder and Medical Director of West Michigan Rehab + Pain Center. Under the direction of Dr. Rahimi, our friendly, dedicated staff of medical providers is here to assist with your healing journey.